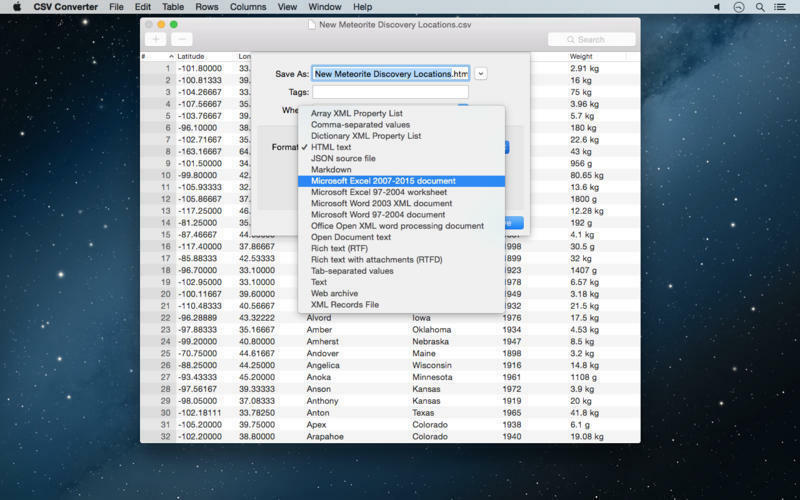 Convert CSV files to other formats. 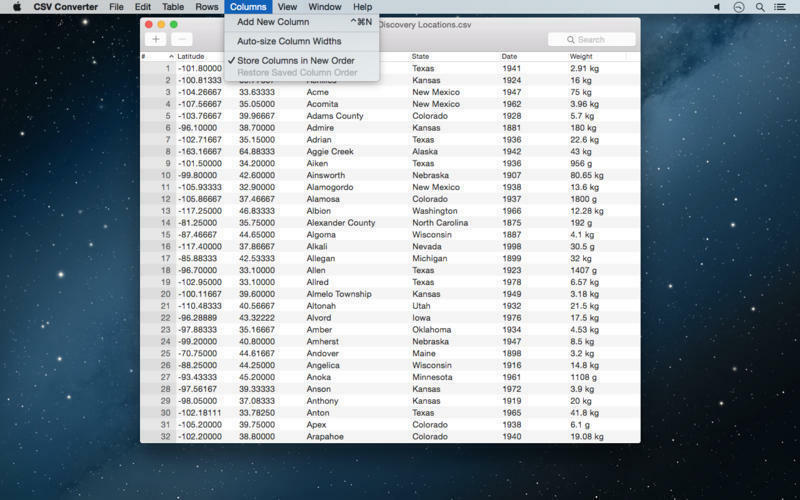 Is there a better alternative to CSV Converter? Is CSV Converter really the best app in Productivity category? 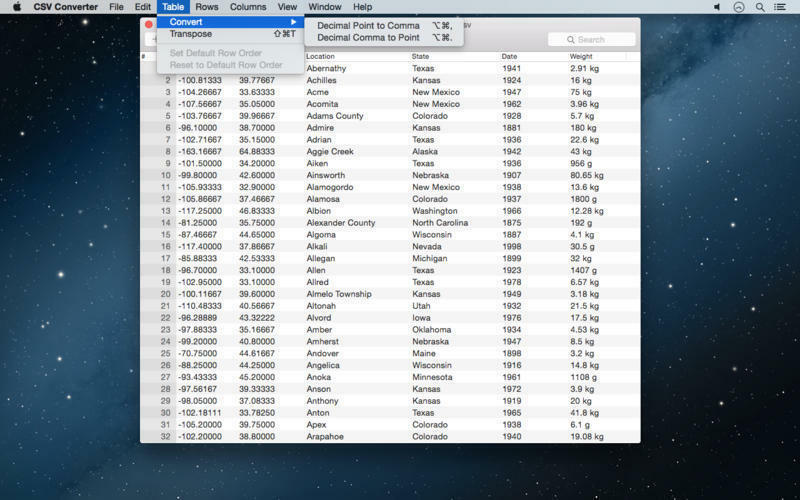 Will CSV Converter work good on macOS 10.13.4? CSV Converter is a simple application for opening, editing, and saving CSV files. The CSV file format is widely used to exchange data arranged in a table, as in a Numbers or Excel spreadsheet. CSV Converter is able to open CSV files that some apps are having problems with, preview the tabular data, and re-save it without the internal inconsistencies that cause the issue. 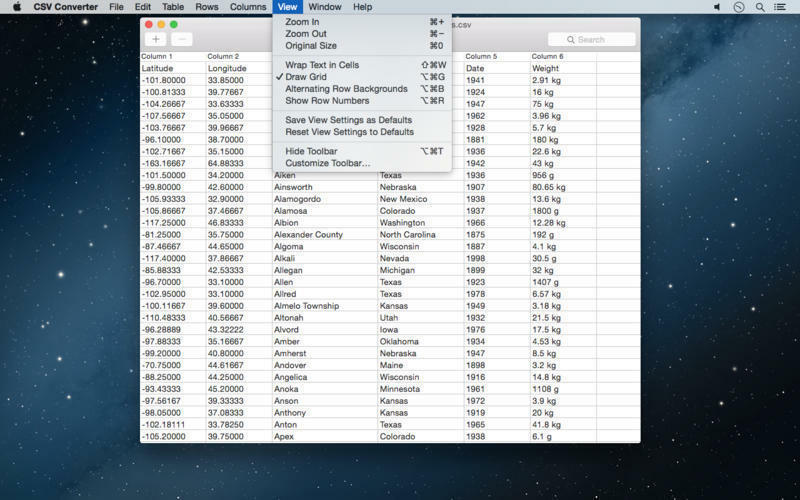 Additionally, it can export the table in various formats like RTF, Word, Open Document text, and as a MultiMarkdown table, or copy the table to the clipboard in the format that iWork uses. CSV Converter needs a review. Be the first to review this app and get the discussion started! CSV Converter needs a rating. Be the first to rate this app and get the discussion started! There is basic editing support, but the main purpose of the app is getting usable data out of CSV files and into other formats.